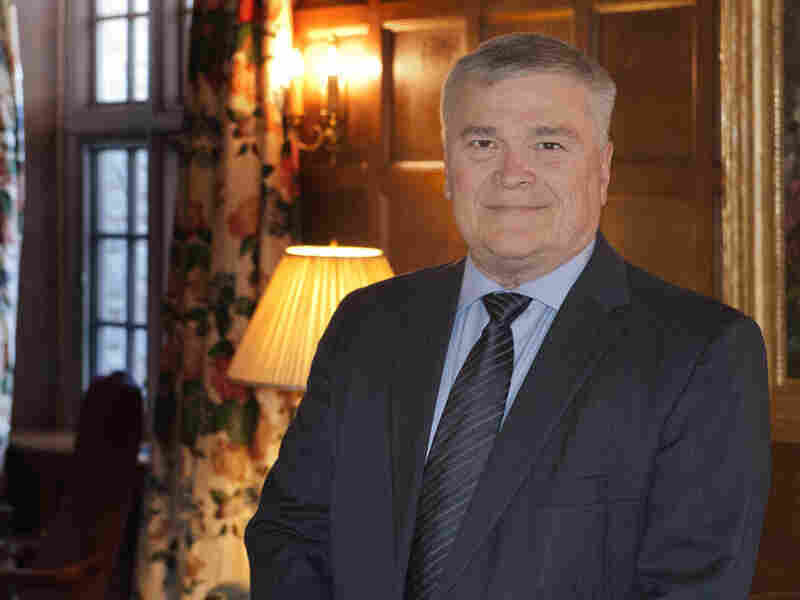 Penn State Picks New President: Florida State's Eric Barron : The Two-Way The school is turning to an experienced administrator. Barron has been president of Florida State since 2010. Before that, he was a dean at Penn State. He takes over a school still recovering from the 2011 scandal involving former assistant coach Jerry Sandusky's sexual abuse of young boys. Penn State University, which dismissed its president and its legendary football coach in late 2011 for their roles in dealing with allegations that an assistant coach had been molesting young boys, announced Monday that Florida State University President Eric Barron is leaving the Sunshine State to be PSU's next leader. Barron will succeed Rodney Erickson, who announced soon after replacing the fired Graham Spanier that he planned to retire before mid-2014. Barron, who has led Florida State since February 2010, has substantial ties to Penn State. As PSU says in its announcement, "before his presidency at Florida State University, Barron held a number of notable positions within higher education, including dean of Penn State's College of Earth and Mineral Sciences from 2002 to 2006, having become a member of the Penn State faculty in 1986." "How do you make a great institution even better? That defines my job." If you need any reminders about the scandal that began with the revelations about former assistant coach Jerry Sandusky and led to the downfalls of both Spanier and head football coach Joe Paterno, our coverage is collected here. Sandusky, 69, is serving a 30- to 60-year prison sentence for sexually abusing at least 10 boys. Paterno died in January 2012 at the age of 85. Spanier and two other former Penn State officials have been charged with perjury, obstruction of justice and failing to tell authorities about the alleged child abuse. They have "steadfastly maintained their innocence," as PennLive notes.